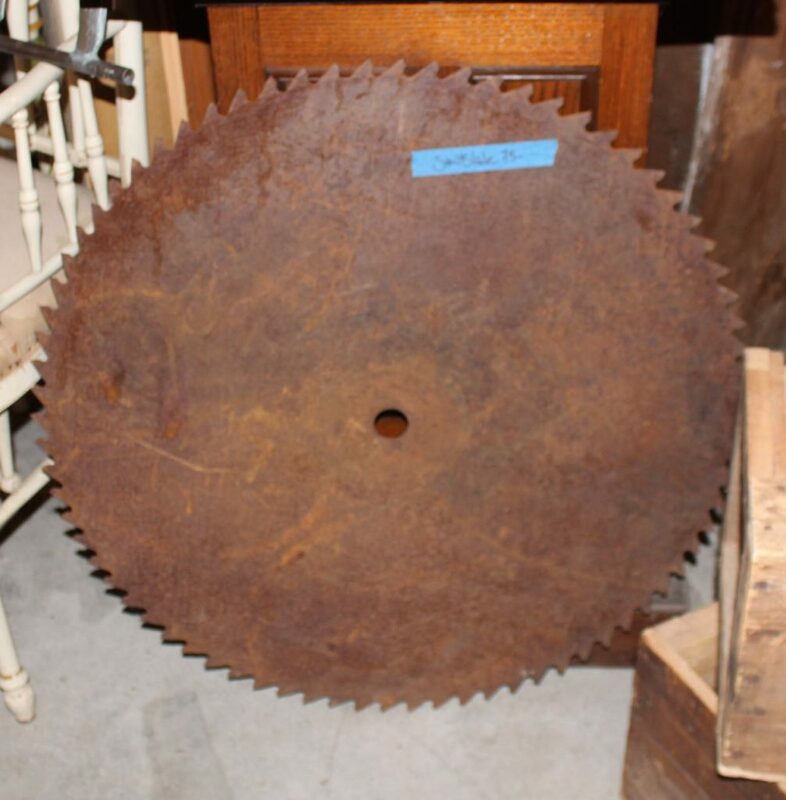 This old saw blade is about 36″ in diameter. Rusty patina. A great piece for repurposing or decorating!